This groundbreaking study marks the culmination of over twenty years of research by one of this country's most prominent Mexico scholars. 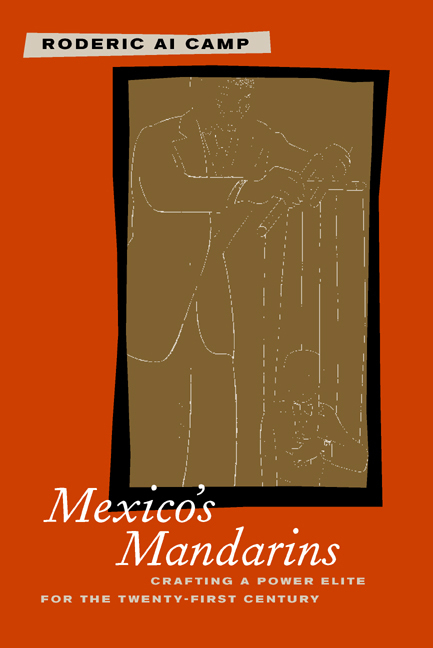 Roderic Ai Camp provides a detailed, comprehensive examination of Mexico's power elite—their political power, societal influence, and the crucial yet often overlooked role mentoring plays in their rise to the top. In the course of this book, he traces the careers of approximately four hundred of the country's most notable politicians, military officers, clergy, intellectuals, and capitalists. 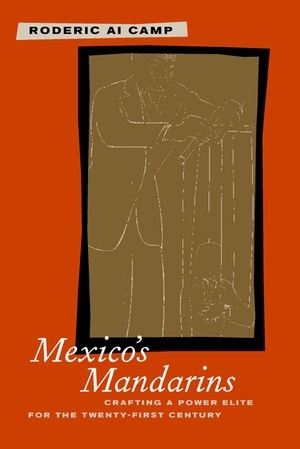 Thoroughly researched and drawn from in-depth interviews with some of Mexico's most powerful players, Mexico's Mandarins provides insight into the machinations of Mexican leadership and an important glimpse into the country's future as it steps onto the global stage. Roderic Ai Camp is Philip M. McKenna Professor of the Pacific Rim at Claremont McKenna College and author of Politics in Mexico: The Decline of Authoritarianism (1999), Crossing Swords: Religion and Politics in Mexico (1997), and Generals in the Palacio: The Military in Modern Mexico (1992). Chapter 1. Mexican Power Elites: Do They Exist?